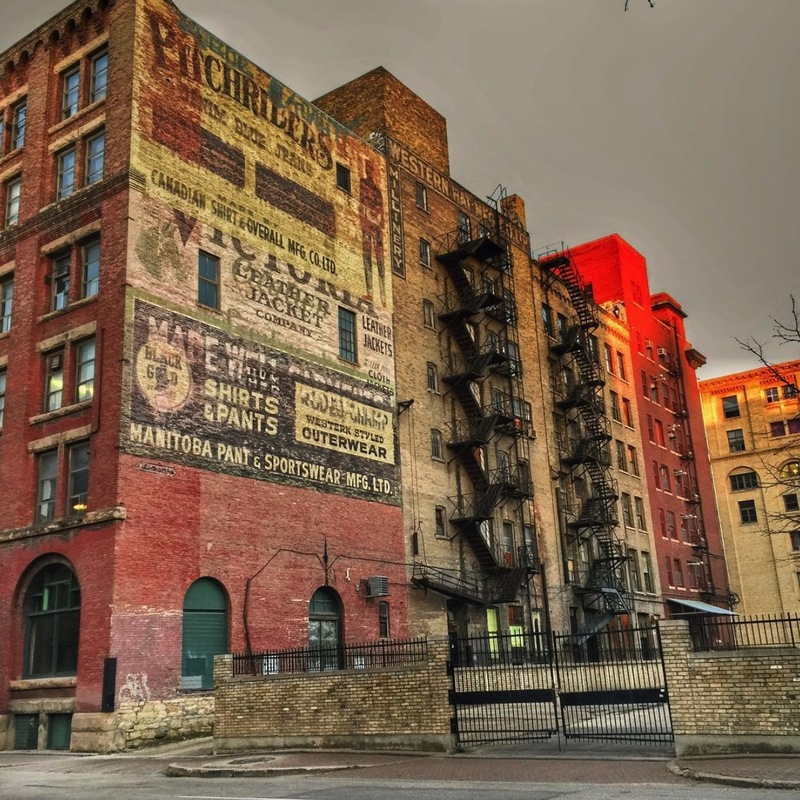 On an unseasonably warm November evening, I had the chance to walk around Winnipeg’s historic Exchange District. There are 20 city blocks which date back to 1881, a time when Winnipeg, Manitoba was the fastest-growing city in North America. As the sun set, it cast the buildings in a warm glow and I had to capture these old, weathered signs. I look at these relics from the past and wonder what they’ve been witness to over the years: from horses and buggies, to buses and cars. From trilbies and fedoras, to baseball caps and beanies. They’ve survived decades of sun, wind, rain, storms, and even floods. I love how the typefaces evoke different eras in time, a reminder that there’s beauty to be found in the ephemeral and impermanent. How will you interpret weathered? Will you capture a lined, smiling face as you practice street photography? A piece of beach glass worn smooth by the waves? A snow-covered path carved by the wind? Have fun with your interpretation! Thanks @Heyjude! I can’t help but imagine people through the ages as they walk by those buildings. “Bit by weather” — what a fantastic description! Great to walk either up or down – I’ve walked those stairs several times since I was a kid. I always wonder about who the buildings’ occupants have been over the ages. What were their stories? What brought them there? What made them leave? Each little window on the buildings has generations of stories to tell. Love these buildings. And who would believe they’d still be there! The castle is magnificent! I always wonder how they constructed these amazing buildings with just the power of the human body. So incredible! They were good at mathematics as well in those days! Weathered to me means well worn but full of chatacter…but then I’ve not been there. Is it? I love this week’s photo challenge. Having fun looking at the other blogs’ take on this. 404. I can click on the track back and it brings me to my blog but there is no reference to an image from my blog. Can this be fixed? Your pingback is showing on the list — I can see it here when I scroll through the list. Nice blog appreciation from India! 632 Responses While this challenge is closed to new entries, we encourage you to visit the Reader to find other avid bloggers. Do What You Wish Under the weather. Weathered – Take Off – What's (in) the picture? Weathered – Stones – What's (in) the picture? That Weathered Look. – LIFE AS I SEE IT – with one eye closed. ~8-14 Of 365~ – ……….365 Days……….. Weathered Skeleton from Harrapan Civilisation – Why This? Why That? Weathered – Bell Tower – What's (in) the picture? Weathered – Forever Young – What's (in) the picture? Weekly Photo Challenge: Weathered – These aren't gray hairs, these are highlights! Weathered – Sign – What's (in) the picture? Weathered Museum Piece – Dutch goes the Photo! Weathered – Platform – What's (in) the picture? Half Baked In Paradise But are not all things beautiful? Weathered driftwood. – David M's photo blog. Weathered – Allotment – What's (in) the picture? Espace Darwin (ex Caserne Niel) à Bordeaux vous connaissez ? Giggles & Tales Weekly Photo Challenge – Weathered! Weekly Photo Challenge: Weathered – Excited Neurons ! Weathered – Weekly Photo Challenge – Tea, Wine, and Cheese, Please!